We offer Cooling Water Chemicals which are special chemicals focuses on improvement of operational efficiency of cooling system. It prevents system from corrosion, bio fouling and suspended solids. It is also available at reasonable rates. 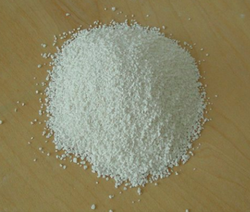 These chemicals are specifically developed to be used commercial, industrial and process applications. Lab Chemicals for Schools, Engineering Colleges, Science Colleges, Universities, Research Laboratories, Pharmacy Labs, Medical Labs. We are the authorized dealers and stockist of laboratory chemicals of otto. 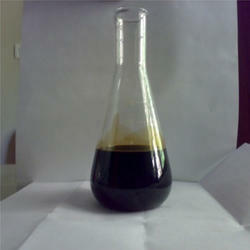 Clients can avail a quality range of laboratory chemicals from us. These are obtained as a result of the persistent efforts of our scientists who believe in delivering quality products that are in compliance with industry standards. All Pre-treatment Chemical , 7 Tank Process , 3in1 Chemical , Colour Anodizing , Paint Remover . Cardium compound is one of the thickest known oils used in uncovered gear boxes of heavy duty cranes, electric and diesel locomotive engines, battle tanks, shovels, draglines and heavy machinery used in turbines. It is very difficult to remove the cardium compound from damaged equipment because it is very thick and sticky. Tiotropium 18 mcg Rotacap is an anticholinergic medication. It works by relaxing the muscles in the airways and widens the airways. This makes breathing easier. We offer our customers a wide range of Normal Butanol or n-butyl alcohol is a primary alcohol with a 4-carbon structure and the molecular formula C4H9OH. Its isomers include isobutanol, 2-butanol, and tert-butanol. AllwaysClean is a laboratory detergent having neutral pH.